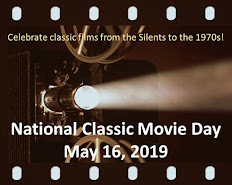 The Classic Film and TV Cafe is a blog devoted to classic movies and television series, ranging from the silent film era to the 1980s. Come into the Cafe and join in the conversation! Ante Meridiem Theatre is a new feature at the Cafe to focus on those movies that, years ago, would crop up on TV in the wee hours of the morning, when you were only partially awake, and right before the network turned to snow. Duane (Kevin Van Hentenryck) is a young man staying at a hotel in New York, carrying with him a wicker basket in lieu of any luggage. 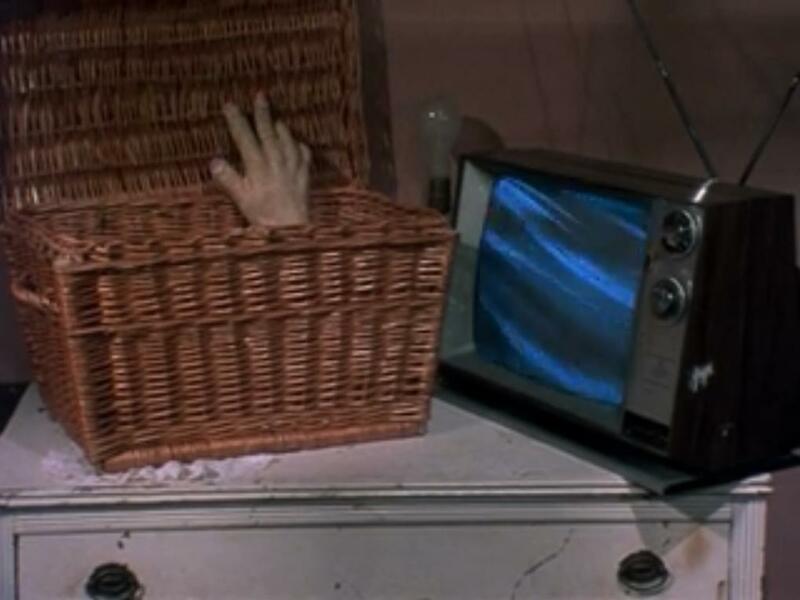 Inside the basket is Duane’s brother, Belial, his Siamese twin, a deformed mass of flesh whose only recognizable features are a head and both arms. Years ago, the conjoined brothers’ father demanded that doctors perform an operation, and the two were forcibly separated. Belial, not even considered human, is discarded with the trash but is rescued by Duane. They are nurtured by a sympathetic aunt (Ruth Neuman), but following her death, they decide to exact revenge against the doctors responsible for severing their physical connection. Though Belial’s verbal discourse consists of grunts and shrieks, he communicates with Duane telepathically, making it impossible for Duane to hide his adoration of Sharon (Terri Susan Smith), a receptionist he met at a doctor’s office. Belial becomes envious of Duane and Sharon’s relationship, and the surprisingly mobile smaller brother becomes harder to control. Frank Henenlotter’s Basket Case (1982) is a low-budget treat. As with other films by the director, it merges subtly comedic moments with extraordinary violence, leaving some viewers confused as to when they should laugh. But the amusing morsels throughout complement the film. Duane and Belial’s attacks typically consist of Duane setting the basket down and letting his brother do the dirty work, but Belial also makes his way around the hotel. Consequently, the hotel manager is repeatedly running up the stairs in response to a person screaming or sounds of a commotion. When he reaches the source of brouhaha (usually near Room 7, Duane’s room, though no one seems to notice), there’s a crowd of tenants which he subsequently must disperse. It begins simply as an indirect reaction to Belial’s lack of etiquette but gradually becomes a recurring gag, with the manager eventually referring to the hotel as a nuthouse. Henenlotter also furnishes the film with visual puns. One of the condemned doctors is introduced ravenously devouring his lunch, only to later essentially be the lunch for the brother in the basket. Likewise, another doctor is prefaced with a premonition. She’s dining in a red dress, flanked by red candles and eating strawberries. The most striking visual involves a female tenant at the hotel in her room, with a smiley face clock on the wall and the woman changing into a smiley face nightshirt before she is attacked by Belial. It’s true that no one is smiling after Belial makes an appearance, but the real joke is Belial, who is almost nothing but a face himself and is inherently the mortal enemy of the smiley face. Henenlotter’s films often deal with some sort of physical deformity or an unsanctioned physical alteration. He followed Basket Case with Brain Damage (1988), which is about a man afflicted with a parasitical creature that discharges a hallucinogen and forces the man to seek sustenance for the parasite (or, more specifically, brains). Henenlotter went on to direct Frankenhooker (1990), about an electrician/low-rent doctor who pieces his mutilated fiancée back together, and two Basket Case sequels, Basket Case 2 (1990) and Basket Case 3: The Progeny (1992), both which starred a returning Van Hentenryck. The director had evidently retired from the film industry but fortunately returned in 2008 with the release of Bad Biology, following the peculiar love affair between a man and a woman, each with physical anomalies. Basket Case has enjoyed a couple of releases on DVD but will be making its Blu-ray debut on September 27th from Something Weird Video. 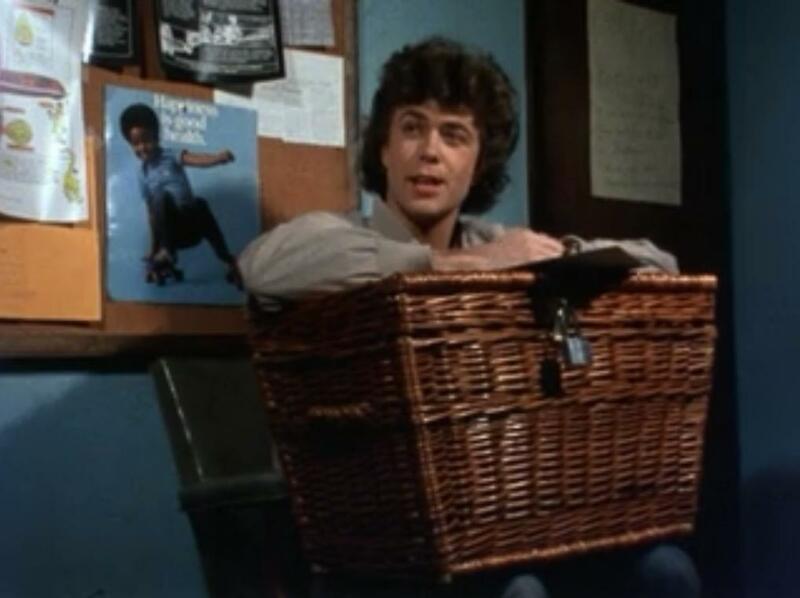 Frank Henenlotter’s Basket Case is just like its character, Belial. Bizarre, eerie, small, and prone to hurdling itself at your face. Both might be aggressive and violent, but what they really want is acceptance. The film is a great piece of cinema, appreciated by those who allow it to show its own merits. Some things are filled with treasures which one can only discover with patience and respect. Then again, other things (namely baskets) have tiny, deformed Siamese twins with razor sharp teeth and a score to settle. Choose wisely. Terrific post on what is one strange kinda film, and I vividly recall Belial and his surprise appearances from his basket. One of the interesting bits about this film is its on-location shooting in NYC Times Square circa 1979-80, giving you a time-capsule view of how seedy and fascinating the area looked before gentrification took over in the 1990s. And to think that baskets are now considered fashionable home decor items and are sold in expensive boutique stores...! GOM, I love on-location shooting, but it's occasionally distracting. I recall Scorsese's THE KING OF COMEDY, in which Robert De Niro and (I think) Sandra Bernhard are walking the streets, and behind them, there's a crowd of people huddled together watching them. But the on-location for BASKET CASE is wonderful because New Yorkers are hardly paying attention to a strange guy walking around New York cradling a wicker basket! Henenlotter did the same thing with FRANKENHOOKER, in which Patty Mullen as "the Monster" was clomping around the streets in elevator shoes calling out, "Wanna date?" The only people who acknowledged the peculiar woman were the actors with whom she interacted. That just makes the film even more fun! Sark, a great choice for AM Theatre, as I originally saw it on USA's Up All Night (I later rented it). 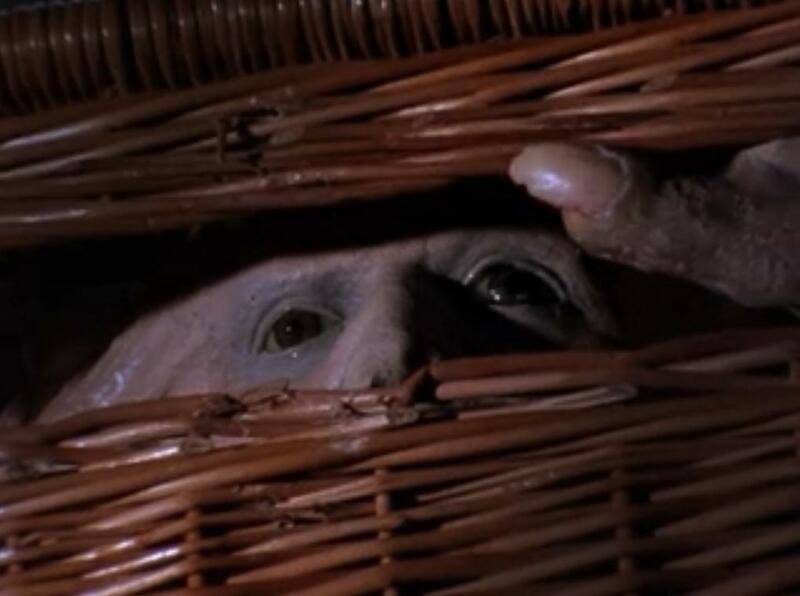 As you pointed out, it's the wit and humor in BASKET CASE that separates it from other low-budget horror films. Henenlotter also borrows the premise of FREAKS; the twins' victims may be "normal" but they're not very nice people at all. I recall reading where it took Henelotter three years to complete BASKET CASE (amazingly, it doesn't show...at least, I don't recall any major continuity gaffes). I've seen both sequels, with the first being the better of the two. But the best of the series is the first, because it focuses strictly on the brothers. Like you and GOM, I agree that the on-location filming enhances the proceedings significantly. Speaking of that, is it possible that De Palma's SISTERS will be featured in a future installment of AM Theatre? You know, I remembered that later this afternoon while my wife and I were eating out (no, it wasn't a picnic with a basket of food). But there are other big city movies of the same time period, such as the bizarre GOD TOLD ME TO. I hae not seen this one in years! It was campy fun, but I have to say that Belial really scared me. The picture you use above of him peeking out of his basket brought that back (shudder). However, I greatly admire Belial, if only because "the real joke is Belial, who is almost nothing but a face himself and is inherently the mortal enemy of the smiley face." As they say, the enemy of my enemy is my friend...LOL! I'll never forget this film. Eight highschool kids were buzzing on Lucky Lagers on a skiing trip huddled in a cabin. It has scarred us all. 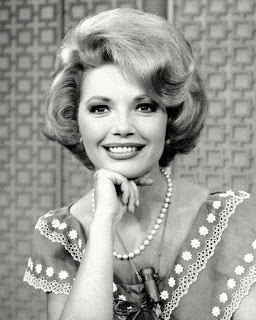 An Interview with Ruta Lee: A Lively Conversation about Seven Brides, Marlene Dietrich, Perry Mason, Khrushchev...and More! Click poster for more info! If you are signed into a Google/gmail account, click the "Sign in" in the upper-right part of the Cafe's screen. View the blog again and when you're ready to comment, your Google name is pre-filled. Based on feedback from our readers, we have eliminated anonymous comments. Any comments considered inappropriate or not relevant may be rejected at the editor's discretion. Yet ANOTHER Classic Movie Paperback! The Cafe uses images to enhance its criticism and comments on classic films. If you feel this "fair use" violates your copyright of an image, please e-mail us at rick@classicfilmtvcafe.com and the image will be removed immediately. When leaving comments at the Cafe, please focus on the contents of the post. Differing opinions are welcomed! Negative comments directed at the bloggers or other commenters are not--and will be deleted. All written content is copyrighted by R. Armstrong.